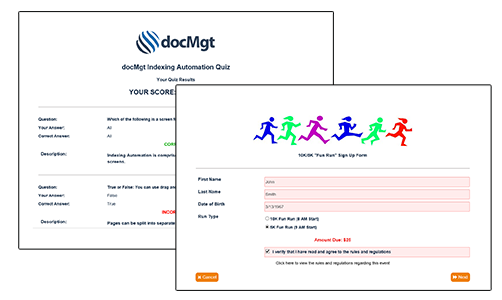 Automate and control the way documents are created by using variable content and data in a simple, intuitive way. 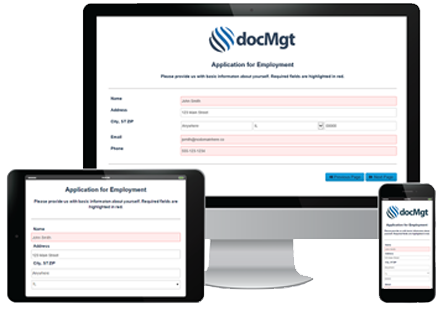 docMgt provides Electronic Forms and Document Templating to help organizations manage the creation of their documents. 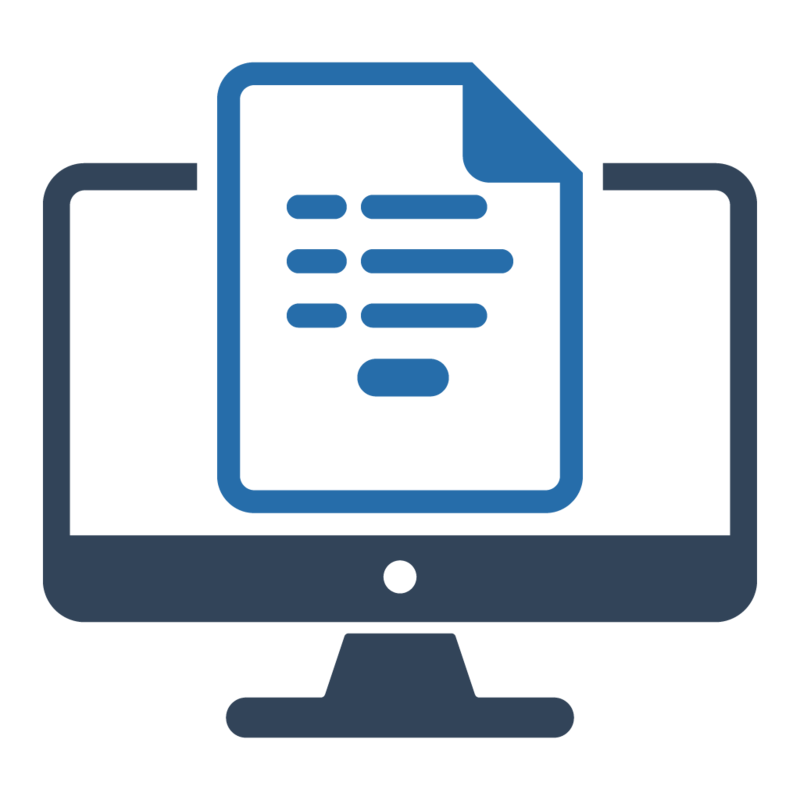 Download the E-Forms Fact Sheet for more information about electronic forms. Users can then leverage those shared snippets to build their own documents and templates. 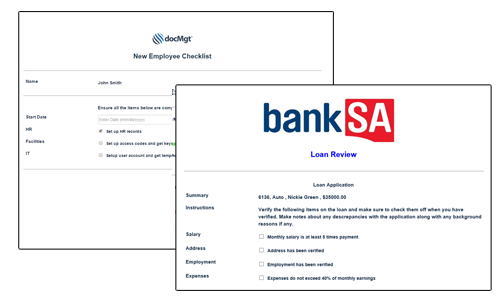 Best of all docMgt can be configured to update those templates when the original snippets change. This allows organizations to better leverage the information gained from knowledge workers and keeps the responsibility for information maintenance with the correct people.